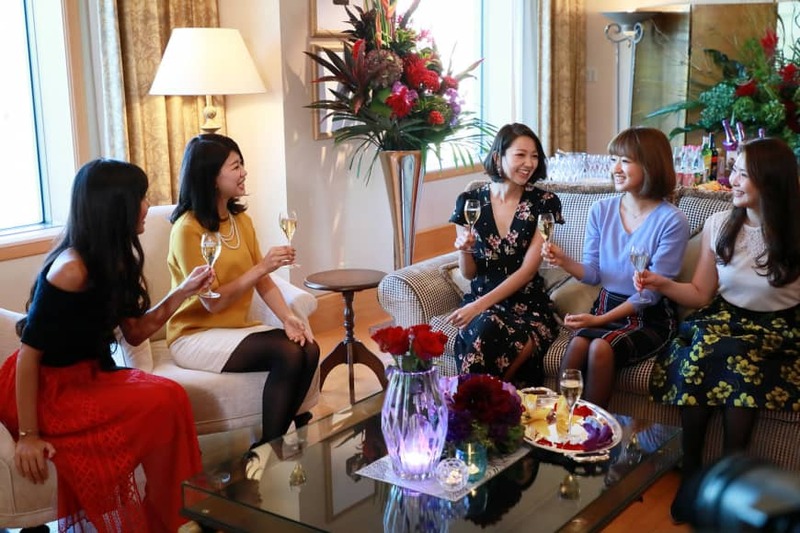 Searching for love on the reality TV series “The Bachelor Japan,” a record number of women have already applied for the show’s third season, set to stream on Amazon Prime Video later this year. Bosses at the paid subscription service will no doubt be hoping for more of the same regarding viewing figures following the success of last year’s series, which finished with IT executive Rintaro Oyaizu proposing to illustrator Mami Kurata. For contestant Nanako Oguchi, however, it was a case of what might have been. The then-trainee accountant made it to the final two with Oyaizu revealing that she had “set his heart racing” more than anyone else. In the end, though, he didn’t see her as a prospective wife. Despite the disappointment, the Yamaguchi Prefecture native has no regrets about taking part in the show, describing it as “a once-in-a-lifetime experience.” A big fan of the original American series, she decided to audition for Japan’s version after some encouragement from her sister. “The Bachelor” begins with 20 female contestants stepping out of a limousine one by one to greet the man they hope to win over. There’s then a cocktail party during which time the ladies do their best to try and grab his attention. During the rose ceremony that follows, 15 women are handed a flower while the remaining five have to say their farewells. As the series progresses, the bachelor goes on luxurious dates with the ladies, sometimes one-on-one, other times in a group. Oguchi was often the envy of her fellow contestants as Oyaizu regularly chose her to go out with while they were left to twiddle their thumbs at the communal house. The show’s commentators would likely disagree. Comedians Koji Imada and Shingo Fujimori, as well as HKT48 pop idol Rino Sashihara, all saw her as a strong contender throughout due to the rapport she built up with Oyaizu. According to Oguchi, however, this close bond between them didn’t necessarily work in her favor as she felt their dates were becoming too casual toward the end. When the program finished, Oguchi decided to escape from it all with a two-month vacation in Thailand and Malaysia. She’s currently in China after having moved there a few months ago to study Mandarin. She’d eventually like to start her own business, bringing Chinese tourists to Japan. Oguchi says she rarely thinks about “The Bachelor” these days, though she did have a nostalgic look back at the show a month or so ago. While watching, she noticed that Oyaizu and Kurata had a “deeper emotional connection,” and was therefore surprised to hear the news that, like Kubo and Ai Aokawa a year earlier, they’d already broken up. Will bachelor No. 3, Shinya Tomonaga, have more luck? The third season is expected to air in autumn and Oguchi is already looking forward to it. “The Bachelor Japan” is available for streaming via Amazon Prime Video.